Fabrizio Rongione and Marion Cotillard in Jean-Pierre and Luc Dardenne’s “Two Days, One Night.” Courtesy of CIFF. Films have always been used as a vessel for escapist fantasy. The frivolous dilemmas of glamorous couples served as a comfort for Depression era-audiences just as superhero vehicles offer a temporary breather from our modern-day crises. Yet films are equally adept at helping us confront the very issues we usually desire to escape, filtering them through the dramatically heightened lives of fictional characters. The following six highlights from the 50th Chicago International Film Festival, kicking off Thursday, October 9th, venture deep into the darkest corners of the human psyche in ways that are bold, surprising and wholly captivating—though you may need to walk them off afterward. Ruben Östlund’s “Force Majeure.” Courtesy of TIFF. When a “controlled” explosion causes a vacationing family at a ski resort to believe they’re about to be engulfed in an avalanche—brilliantly captured from a single fixed angle—their primal response causes the once tenacious bond between husband Tomas (Johannes Kuhnke) and wife Ebba (Lisa Loven Kongsli) to seem utterly tenuous. Director Ruben Östlund frequently allows scenes to extend far past their expected beats, allowing a rich mixture of conflicting tones to pepper each moment, such as when a stranger’s flirtatious overtures cause two men to verge from cockiness to humiliation to rage to incredulous laughter. At the center of this film’s frost-bitten heart is the same question that haunted Julia Loktev’s “The Loneliest Planet”: can love survive the exposure of one’s worst weaknesses? Yet whereas Loktev’s film was meditative and minimalistic, Östlund’s jet-black satire is chockfull of nervous laughs and tense dialogue interrupted by excruciating silences. The booming echo of recurring explosions outside the family’s hotel room take on an ominous quality as the increasingly frail connection between lovers is mirrored by the creaking wires that suspend skiers in mid-air. 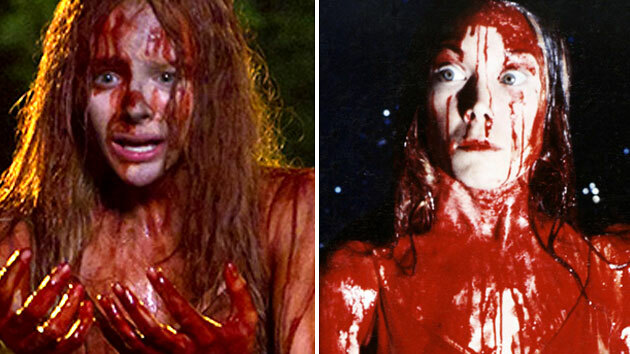 It’s agonizing—mostly in a good way—though I’m not especially eager to sit through it again anytime soon. Screens Friday, October 10th at 8:15pm and Sunday, October 12th at 5:30pm. Actor Johannes Kuhnke is scheduled to attend. Click here for tickets. 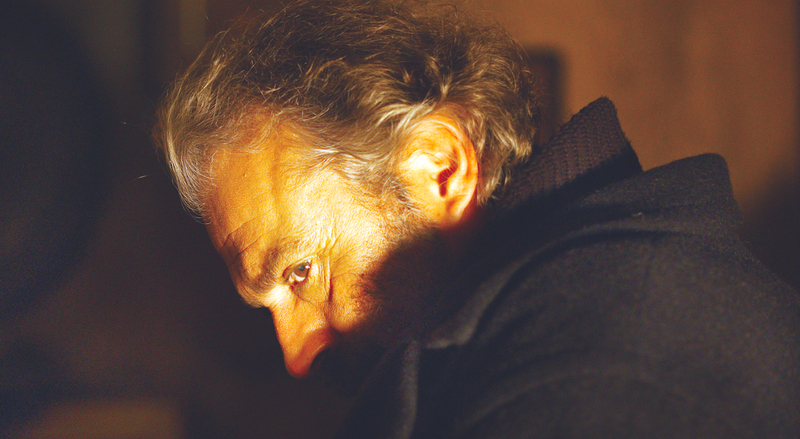 Haluk Bilginer in Nuri Bilge Ceylan’s “Winter Sleep.” Courtesy of CIFF. 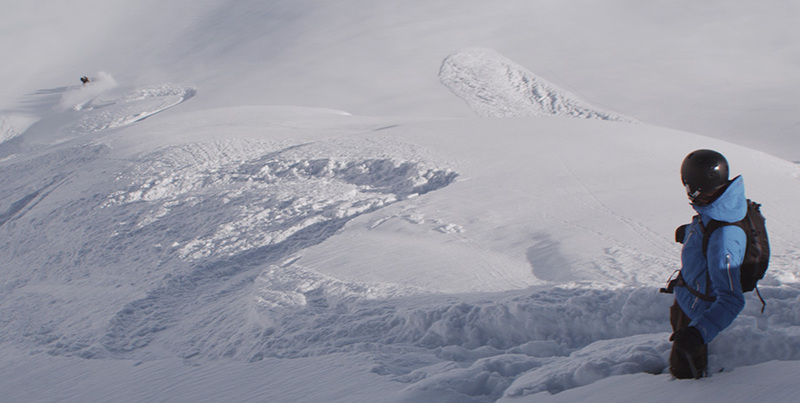 Whereas “Force Majeure” portrays the unraveling of a couple in the wake of a thematic avalanche, “Winter Sleep” centers on a husband and wife hopelessly submerged beneath the frigid debris of their long-broken marriage. Winner of the Palme d’Or at this year’s Cannes Film Festival, Nuri Bilge Ceylan’s 196-minute drama is anchored by an extraordinary script (co-authored by Ebru Ceylan) influenced by Chekhov and reminiscent of the achingly raw and eloquent verbal duels conducted by Ingmar Bergman most famously in “Scenes From a Marriage.” The intricate compositional texture of Gökhan Tiryaki’s cinematography is a treat for the eyes, bringing warmth to the chilliest of emotional encounters. As actor-turned-hotel owner Aydin, Haluk Bilginer gives just the right amount of endearing charisma to a wretched character, seducing us with his self-assurance before his disillusioned wife (Melisa Sözen) and embittered sister (Demet Akbag) take him apart in lengthy sequences of dazzlingly caustic dialogue. At its best, the film resembles a masterful stage-to-screen adaptation, though there are times when its script is almost too much of a good thing, as the tireless banter grows wearying in the third act. Screens Saturday, October 11th at 7:15pm and Tuesday, October 14th at 7:45pm. Click here for tickets. A towering masterpiece of a very rare breed, Dietrich Brüggemann’s audacious picture is just starting to make the rounds on the U.S. festival circuit (kudos to Film Movement for acquiring distribution rights). Divided into 14 chapters, each captured in a single take and inspired by Christ’s journey of sacrifice, this shattering drama revolves around 14-year-old Maria (Lea van Acken) on the eve of her confirmation, as she takes the words of her pastor (Florian Stetter) deeply to heart. Shunning all that is deemed satanic while interpreting illness as a punishment from God, Maria takes it upon herself to “heal” her mute brother. When the girl tries opening up about the minefield of fear and guilt set by her mother (Franziska Weisz) at home, the pastor reminds her of the commandment ordering her to honor her parents. A particularly heartbreaking subplot involves a boy at school who could prove to be a good influence on her, but she rejects him as she does the transcendent beauty of her surroundings. The film warrants comparison with “Breaking the Waves” and “The White Ribbon” in its depiction of how fundamentalism, when taken to its fanatical extremes, is ultimately an embracement of death fueled by the denial of uncertainty. In a year of so much tone-deaf evangelical propaganda, this is a profoundly vital wake-up call. Screens Sunday, October 12th at 2:45pm and Monday, October 13th at 6pm. Actor Florian Stetter is scheduled to attend. Click here for tickets. Sarit Larry and Avi Shnaidman in Nadav Lapid’s “The Kindergarten Teacher.” Courtesy of CIFF. As anxiety-inducing, in its own way, as “Force Majeure,” Nadav Lapid’s highly unusual character study stars Sarit Larry as a teacher who develops an unhealthy fixation on her five-year-old student, Yoav (Avi Shnaidman), who sports the abilities of a poet savant. There are pedophilic undercurrents here, particularly during a bathing scene that rivals the notorious unease of Jonathan Glazer’s “Birth.” Yet what ultimately makes the story so compelling is the simple fact that the boy is genuinely gifted and the teacher is his only real advocate, as deranged and hypocritical as she may be—she faults his guardian for plagiarizing his words, but then does the very same thing for a class, earning the approval and lust of her own professor. This may have all seemed rather silly with a precocious puppet cast as Yoav, but Shnaidman is a thoroughly natural presence (much like the babbling tyke in “Heaven Is For Real”), pacing back and forth as he dictates, an authentic behavioral tendency of writers when their authorial juices are brewing. Though the climax could’ve been over-the-top, Lapid handles it with a deft touch, preceding the denouement with a monologue that’s more sublimely bittersweet the more I think about it. As touching as it is disturbing, this gem is guaranteed to generate impassioned discussion long after the credits roll. Screens Tuesday, October 14th at 1pm, Monday, October 20th at 9pm and Wednesday, October 22nd at 8pm. Click here for tickets. Gaite Jansen in Tamar van den Dop’s “Supernova.” Courtesy of Revolver Amsterdam. Adolescence can be an exceedingly restless time in one’s life. Just ask Meis (Gaite Jansen), the teenage heroine of Tamar van den Dop’s coming-of-age opus. She’s grappling with her mortality and raging hormones while stranded at an uneasy corner on the road of life, externalized by her shabby house, positioned in such a way that traffic could easily plow through it at any moment. There Meis lives with an impotent father, resentful mother (played by the director) and shell-shocked grandmother, grieving the suicide of her husband. It’s enough to make the audience bust as well, considering the film’s often languid pace (interrupted by the girl’s bratty, deadpan quips—after a particularly painful low, she asks, “Isn’t this fun?”), yet the film is awash in arresting imagery with a sensual charge generated largely from the natural beauty of its revelatory leading lady. Her scenes with a lesbian pal could’ve fit snugly into the early sections of “Blue Is the Warmest Color” (the actresses resemble doppelgängers of Adèle and Emma, respectively). The cosmic metaphors are laid on thick with the narration, equating everyday moments to the law of inertia and the Big Bang, yet this is still a consuming mood piece perched precariously on the yin and yang of existence itself. Screens Wednesday, October 15th at 12:15pm, Monday, October 20th at 8:15pm and Tuesday, October 21st at 7pm. Tamar van den Dop is scheduled to attend. Click here for tickets. Marion Cotillard in Jean-Pierre and Luc Dardenne’s “Two Days, One Night.” Courtesy of Sundance Selects. No filmmakers are as gifted at capturing the flow and rhythms of everyday life as Jean-Pierre and Luc Dardenne, and their latest film is no exception, though it packs a somewhat more subdued punch than their previous masterworks (such as “La Promesse” and “The Kid with a Bike”). Marion Cotillard completely disappears into her role—while still retaining all the gamine grace of Audrey Hepburn—as Sandra, a woman desperate to fight for her employment (shades of “Rosetta”) while given the grueling task of urging her co-workers to turn down a raise, which will be forfeited if she keeps her job. Over the course of a single weekend, Sandra must reiterate the same request to each of her peers, and is met with varying degrees of contempt and remorse. Moral ambiguity reverberates throughout these scenes, since it’s clear that the only real villains are the bosses pulling the strings (the Dardennes’ beloved character actor, Olivier Gourmet, turns up in a villainous cameo). Sandra’s husband (Fabrizio Rongione) encourages her every step of the way, though she suspects that there’s more pity in his heart than love. Structured like a classic suspense piece, this film solidifies the brothers’ status as the Hitchcocks of the working class, while conjuring a realism that makes countless other pictures look phony by comparison. Screening Thursday, October 16th at 6pm and Sunday, October 19th at 6:15pm. Click here for tickets.